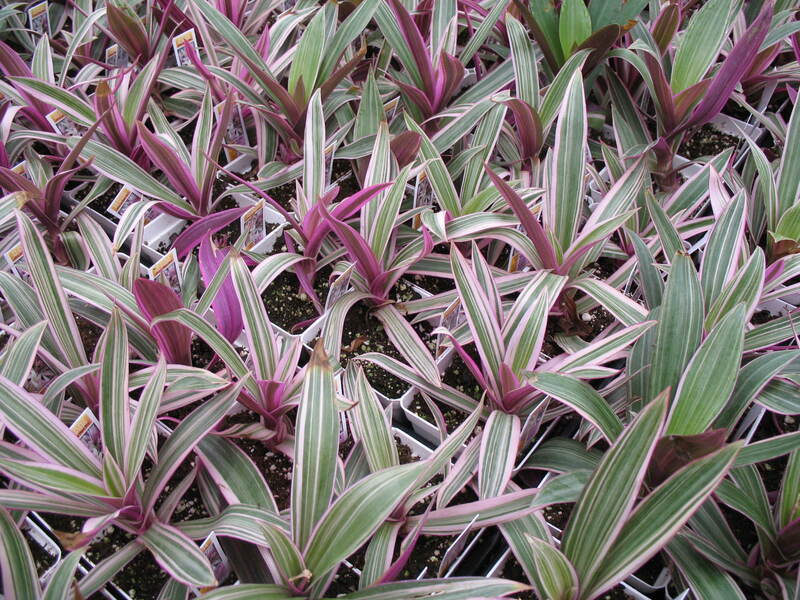 Comments: The lance-shaped foliage in rosettes, with metallic green above and purple below is a special feature of this semi-tropical perennial. Small white flowers occur throughout the year in boatlike bracts down within the foliage rosette. This perennial makes an excellent planter and container specimen or in ground cover plantings. Apply fertilizer periodically during the growing season.